Get back in gear at Cartech Automotive & Transmission Repair, the trusted source for transmission repair in San Antonio, TX. We specialize in servicing foreign imports, specifically vehicles from Japan and other parts of Asia. We have more than 30 years of experience and our work is guaranteed, so you can trust that we'll take care of your problem the first time. Expect quality workmanship at a fair price. 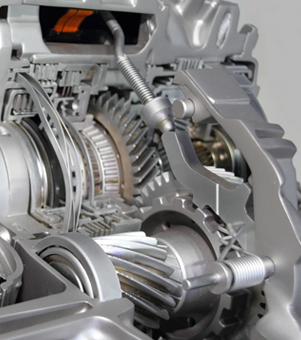 Avoid these auto troubles by following your manufacturer's guidelines for transmission service. Most cars need a transmission flush anywhere between 30,000 and 100,000 miles to keep the system regular, but the recommendation will be specific to your vehicle model. Rely on us if you're unsure if you need service—how you drive also impacts how often you need maintenance, and we know exactly how to gauge the condition of your transmission. Receive great value whenever you visit our transmission repair shop. We offer exclusive discounts on services like new transmission installation, brake service, and more. We're committed to using the best parts, so when your transmission needs new flywheels, differentials, or other parts, you're getting a part that's made to last. Contact us to schedule an appointment for transmission service. We proudly serve San Antonio, Texas, and the surrounding area, including Helotes, Leon Valley, Pipe Creek, and Bandera.